Discussion in 'Bonus Spins - Extra Spins - No Deposit Bonuses' started by Marina, Jun 9, 2018. I received a card from Casinorewards! I can claim €50 No Deposit Bonus and a whopping 150% mach bonus up to €150! Maybe you are also eligible for this promotion but you did not receive the letter yet. You can check if you get something - click on the image below. 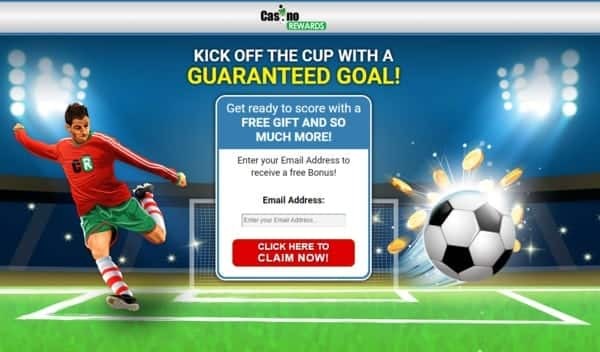 Once on the site, enter the email address you used to sign up at one or more of CasinoRewards Brands. The bonus will be added as Rewards Points to your casino account. Please note: This is NOT for all players. ONLY for selected players. I hope many will get this nice offer! That's again awesome from CasinoRewards! I got also the €50 free and 150% match bonus! Welcome to BonusParadise @John Vigoren . As posted above, this is not for all players, only for selected players. Casinorewards is sending such players a card letting them know about this offer. Did you get the card from CasinoRewards? If so then it should work. Players get their free bonus as points. You have to login to your Casino account and check in your account for the points and redeem them.